Posts categorized "Exopolitics News Articles"
Gary McKinnon, the British hacker facing extradition over allegations he broke into US Military and NASA sites, has earned the right to take his case to the House of Lords. The law Lords agreed to hear arguments that US authorities acted in an "oppressive" and "arbitrary" manner during plea bargaining negotiations, for example by allegedly threatening McKinnon over the loss of rights to serve part of his sentence in the UK unless he submitted to voluntary extradition. The House of Lords was not bound to consider McKinnon's final appeal - for example it declined to hear the appeal of the NatWest Three bankers, so the Lords' decision is a significant fillip for McKinnon and his legal team. Gary's lawyers were allowed to petition the House of Lords (not all the hundreds of Peers of the Realm who sit in the upper legislative chamber of Parliament, but the half a dozen or so Law Lords, the most senior Judges in the United Kingdom) on two points of law. The legal Question which appears to have been rejected, is the same point which Babar Ahmad's legal team were trying to make about the dubious unsigned Diplomatic Notes issued by the US Embassy, promising a Federal civilian trial, rather than a Military Tribunal, even though it is plain that only the US President can make such a decision, and he can change his mind at any time, regardless of what the US State Department promises. "Gary McKinnon is delighted to learn of this important development," his barrister, Ben Cooper of Charter chambers, told The Guardian. McKinnon is fighting against extradition to the US on hacking offences after losing an appeal in April. Only the Law Lords now stand between the Scot and a US trial for allegedly breaking into and damaging 97 US government computers between 2001 and 2002 and causing an estimated $700,000 worth of damage, in what US authorities have described as the "biggest military" computer hack ever. The former sys admin, who lives in London, admits he infiltrated computer systems without permission but disputes the seriousness US authorities attach to his attacks. The 41-year-old has said he gained access to military networks - using a Perl script to search for default passwords - but describes himself as a bumbling amateur motivated by curiosity about evidence of UFOs rather than a cyberterrorist. McKinnon and his team have consistently argued that he ought to be tried in the UK. No date has been set for the House of Lords hearing. In the meantime, McKinnon remains on bail. Here is the text of the Press Release form Gary's lawyers, (Kaim Todner solicitors) following his lost Appeal to the High Court today. It gives some idea of the grounds on which his appeal to the House of Lords will be made. Remember that the House of Lords does not automatically have to decide to hear such an appeal - they refused to do so in the case of the NatWest 3 bankers, David Bermingham, Giles Darby and Gary Mulgrew but have done so in the case of Ian Norris, the retired chairman of Morgan Crucible. McKinnon v USA and Secretary of State for Home Dpt. 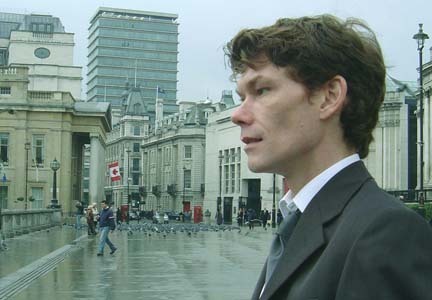 Gary McKinnon will apply for leave to appeal to the House of Lords within 14 days. The High Court has expressed its disapproval of the deliberately coercive plea bargaining tactics deployed by the US in the strongest possible terms. We regret that the Court has not expressed its clear disapproval of the US Government's arbitrary interference with due process by halting Gary McKinnon's extradition as an abuse of the process of the English courts. In order to coerce his voluntary surrender, Mr McKinnon was subjected to threats by the US authorities during the course of plea bargain negotiations. The US sought to coerce the appellant into consenting to his extradition without a formal request being made to the UK authorities and thereafter pleading guilty in the US. The threats made included relaying to Mr McKinnon that New Jersey prosecutors expressed the intention to see Mr McKinnon "fry". the evidence of Mr Dratel is that this is a reference to capital punishment by th electric chair. This was a chilling and intimidating threat. Further the US threatened that Mr McKinnon would receive a significantly and disproportionately longer sentence if he refused to cooperate with the deal being tabled. Furthermore, it was made clear that the appellant would be forced to serve the entirety of that sentence in the US, with no prospect of repatriation. The Us authorities stated that the appellant's refusal to cooperate would result in his repatriation to the UK being blocked. In the course of these discussions the US made it clear that it would be looking for an extremely lengthy sentence and that it would not allow Mr McKinnon to be tried in England because the English courts' sentencing powers was not of sufficient severity. It is submitted that this does not constitute a valid reason for extraditing a British citizen from his homeland where he has never visited the US and the conduct alleged took place in the UK. It is submitted that a desire to make an example out of the appellant by ensuring that he receives a much longer sentence than his own courts would consider to be adequate punishment constitutes an improper and vexatious motive for making an extradition request. 53. [The judge] was also correct in concluding as he did that this was one of the clearest cases where to proceed further with the extradition hearing would violate "those fundamental principles of justice which underlie the community's sense of fair play and decency" (Keyowski, supra, at pp.658 59)..."
It is submitted that the US placed undue pressure on Mr McKinnon and made clear its intent to punish him for failing to succumb to that pressure. It is admitted that the conduct of the US in this case can be properly characterised as oppressive and vexatious such that the House of Lords should allow Mr McKinnon's appeal. Special Agent Ed Gibson has since retired from the FBI and is now the "chief security adviser for Microsoft Ltd" in the United Kingdom. and therefore the threats derived from the Requesting State itself as well as the prosecution lawyers. The prosecution plays an enhanced role in the US sentencing process by recommending the length of sentence to the court. The role and influence of the prosecution is therefore of great significance in respect of the sentence ultimately passed. The threat to refuse the the appellant repatriation clearly engages article 8 ECHR. Article 8 cannot be lawfully interfered with in an arbitrary and punitive fashion as promised by the US. Mr McKinnon has a right under the Convention of the Transfer of Sentenced Persons not to have his eligibility for repatriation determined unfairly or arbitrarily. He has a right to have his application considered fairly. The US has made plain its intention to prevent his repatriation on arbitrary grounds, namely to punish him for exercising his statutory rights to contest extradition. This constitutes an invalid and improper reason for preventing a fair determination of the merits of his application and would therefore violate article 8. Mr McKinnon will now be punished for exercising his statutory rights to contest extradition under the Extradition Act. His punishment could not be more severe. It amounts to a life sentence in a foreign country. CANADA: National Post - "I finally concluded UFOs are, in fact, real."